#1 How much of your budget is set aside for innovation? #2 How fast do you want to reach your goals? #3 Who chooses the projects which will be conducted in the lab? #4 How to make and keep a project effective? When trying to create an innovation culture, the company must invest in several different schemes. This requires great effort and the relocation resources towards innovation. Additionally, companies must choose initiatives in an integrated and strategic fashion by engaging the best professionals and departments available to them. One of the issues to be considered is if the lab will have only internal resources to count on or if there’s going to be external participation – which may, at times, require a larger investment. However, if this is the DNA the company wants to imprint in its actions, it will certainly be a great investment. Creating an innovation culture in all its areas whilst maintaining creativity as a priority isn’t just a path to investment, but also a path to getting a return on said investment. #2 How fast do you want to go? If a company wants to start with a specific innovation project, hiring a consultancy firm is a potential route to take in order to speed up or perhaps even execute the process entirely. That way, a specialized outside team will impartially carry out projects in the face of the challenges presented. This is also a great choice of model for when companies want specialized guidance throughout projects, bringing in a new perspective to the organization. In terms of space, this requires an inspiration room inside the company where both sides can get together to discuss ideas and test prototypes. The projects will be chosen according to the strategical interests of the company. Managers can suggest projects based on their departments’needs. Ideas can also come from research coming from the lab. 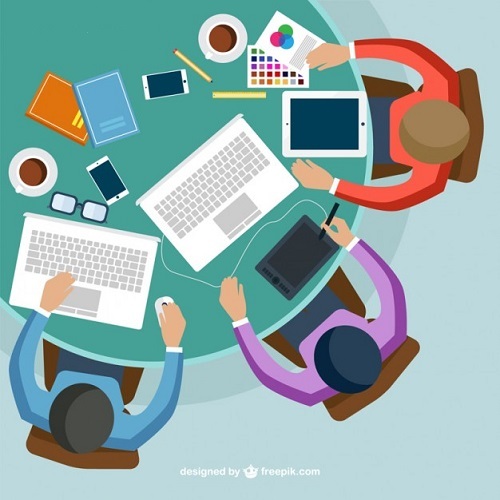 Either way it is important to highlight that the decision process is collaborative and, in order for the project to be successful, all interested parties must be involved: managers, other employees, lab members, the company’s partners and, most importantly, the end user. This constant interaction is not only necessary when deciding which project to invest in but also through all stages of the process. The company will have an innovation team dedicated to creating the best solutions to their needs. A deep immersion in the business will make the creation of metrics easier. This knowledge will be shared with other departments and – with the participation of those most interested in the process – measuring the reach of these innovation efforts will gradually become more accurate. 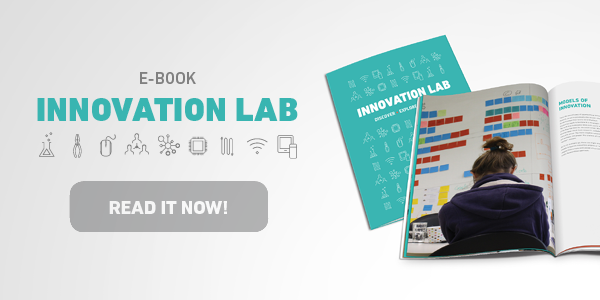 All the information necessary to better start your own innovation lab is available in our free e-book: Innovation Lab – Discovering, Exploring and Co-creating. Follow the latest news on the topic through our participation on the Chief Innovation Office Summer Europe 2016 (#CINOEU2016), widely considered one of the most important innovation events in the world. On the 26th and 27th of April, you’ll be able to find some of the greatest innovation tendencies in our stand in London. Amongst them will be innovation labs, virtual reality, Design Thinking and The Internet of Things. Stay tuned also for the first edition of TECHPOINT, an event promoted by MJV which will have technology startups, CIOs and more.